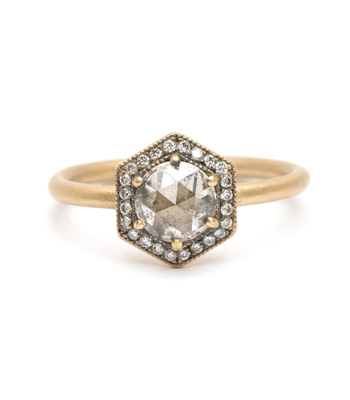 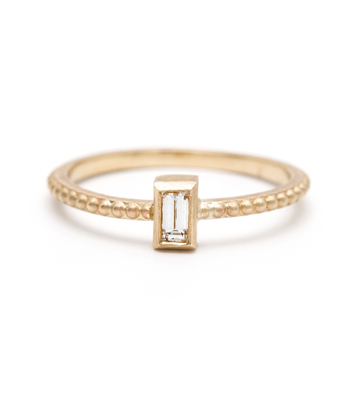 One of our newest designs, and already a favorite stacking ring to add to any collection. 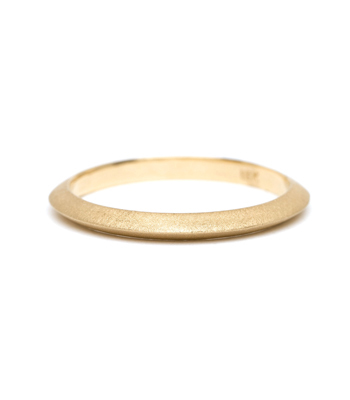 This simple 14K gold band is delicate and understated, yet full of style. 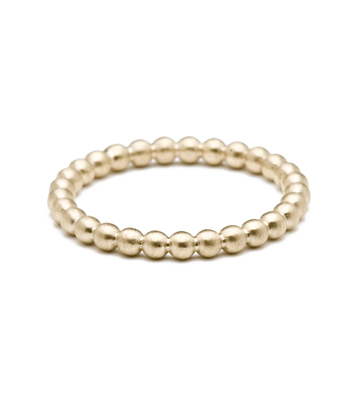 A unique “nail head” detailing gives this little ring a rocking personality! 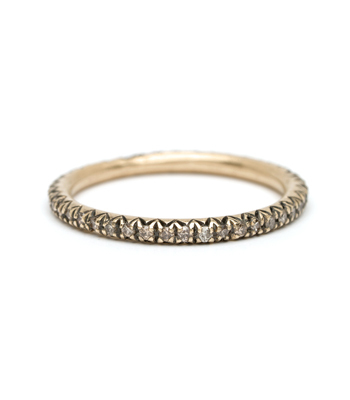 While this ring make an ideal everyday piece on its own, you’ll be surprised of the added textural effect this tiny band creates when paired with another ring. 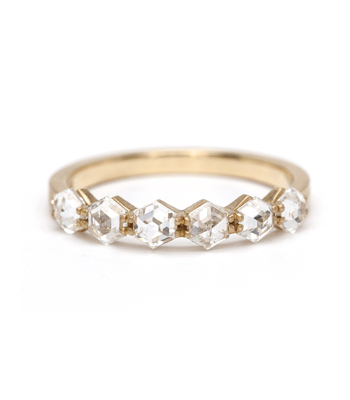 Let the stacking madness begin! 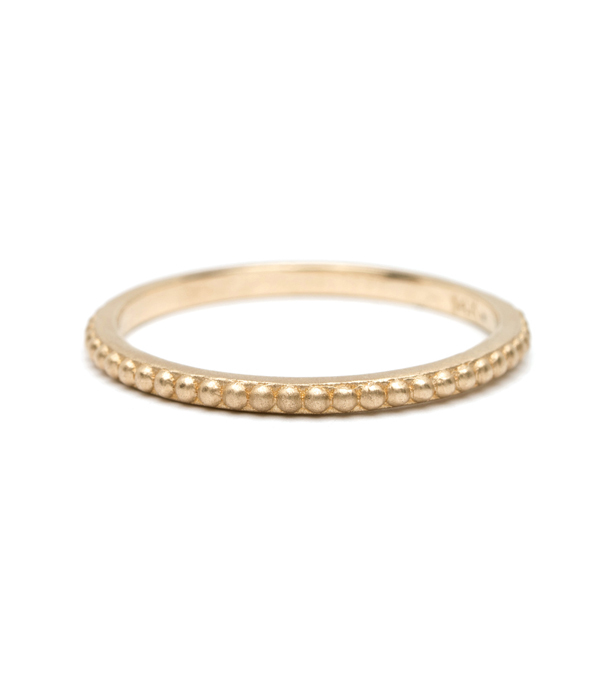 Categories: Aria, Classic Darling, Rings, Stacking Bands, Stacking Rings, Under 500, Women's Wedding Bands.